So, we are going to be on TV this week!!! Kinda ironic since we haven't had TV for over two years now. We do have a television that we use to watch movies, we love a good movie, and could at times I guess "plug-in" to cable at some campgrounds we have stayed at, we just don't and consciously along the way decided that we just didn't need it. The real truth is that once we started living fully, traveling full-time, spending more time with our kids, and running two businesses as our full-time employment… well, there just wasn't time to watch television. We usually fill our days with travel or hiking or exploring or sometimes just being, and then once the kids are asleep, the hubby and I usually work into the evening. It's when we can and it's quiet, and yes that means sacrificing sleep sometimes, but we do what we have to do to make it, like everyone else. But, sometimes we sneak in a late night movie together, or watch goofy clips posted on Facebook, and just recently at a friend's house we stayed up watching Shark Tank and Wanderlust. We certainly value the educational element of television and movies for sure and see it as another way for people to learn about the world around them. I have always believed that a picture is worth a thousand words. Even as a writer by trade, I know the power in one single image and how that can move someone and change lives. I think television can do the same if it is open and honest, and a great deal can be learned from sharing the lives of others on screen. That is why when we received a call from a Producer of The Ricki Lake Show to be on their upcoming "Green Show" we were thrilled! A chance to share how we have taken steps to go green and live simply and sustainably as a family on the road full-time is just awesome! And, Ricki Lake is so true and honest and grounded, and we loved learning how she had been pushing to make a "Green Show" happen all year! We wholeheartedly support her work in Business of Being Born and think she is an advocate for us all in understanding that we have the power to create change through our everyday choices. 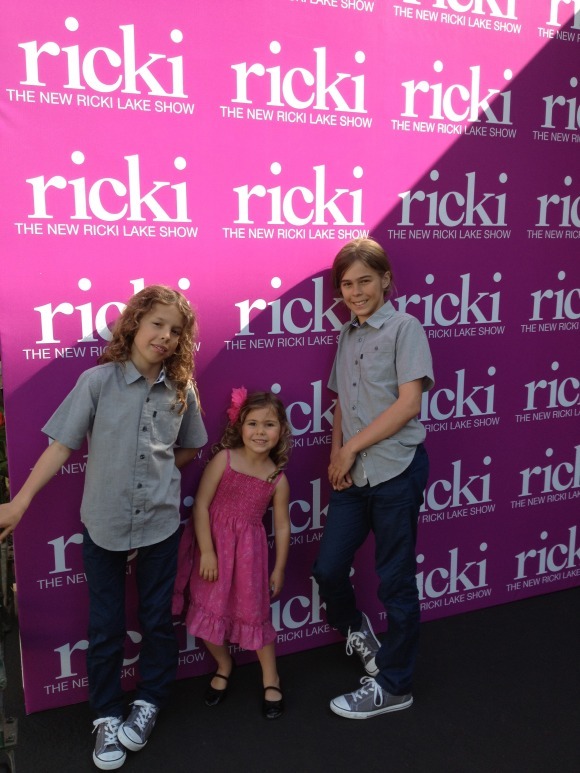 So, we said yes to Ricki Lake and TV and even driving our home through L.A. traffic! We hope a little peek into our life and home will show people that anyone can be greener, and that it isn't just about saving the environment, although we believe strongly that we all need to do that, it is also about the health of our children, the safety of our homes, the future of our food and soil and air and water... so yes saving the environment, but so much more! And, you don't need a lot of money to do what we do, heck, we have had minimal income this past year. But, it is about making choices that not only simplifies your lifestyle, and steers you toward better health, but also can save you money and time and effort. Little things like using cloth napkins or vinegar and water for cleaning means you buy less and save more. And, for those that are already using cloth napkins or vinegar and water for cleaning, we show how you can take that next step toward greening your environment and wallet. Like using cloth toilet paper… ok, so not everyone will do that one, but if you have gone cloth with your baby's diapers and wipes then you can certainly go cloth with yourself (or at least for #1). We always meet people where they are and if they want to take that one more step, we show them how, and how to easily do it with a family in tow and on a small budget. Because going green is about saving money, too! Even sharing how we live in 256 sq. ft. with our family of five shows others that you don't need 5,000 sq. ft. to be comfortable and happy, and that you actually may be missing out by being so spread out from your family and spending so much time indoors. Choose the things that matter to you, take a look at where you can make changes to focus more on those things, and you may see that by "going green" you create more time or space or energy or better health to accomplish those goals. One of the things you will learn about our family on The Ricki Lake Show is that we have been able to go Zero Waste for the past year by reducing, reusing, recycling everything that can be recycled, composting, and something called bottle bricking - stuffing anything that cannot be recycled or composted into a plastic bottle to be reused as a free building material, a brick that can be stacked and covered in cob or whatever natural resource you have available to build whatever you are imagining, a park bench, a chicken coop, a school or nature center. Beauty from trash, trash to treasure, wasteful to zero waste, it can be done. We also run on waste vegetable oil for fuel as we travel the country, again using a waste product for another use. And, we show people that any diesel engine can run on an alternative fuel such as this, only because of big oil have we been taught otherwise. Introduced as "The Greenest Family in America" made us feel all modest, but we did value that others see that we consciously have taken steps to live as sustainably as we can. That is the exact reason we set out on this journey, to walk the walk and challenge our family to take the steps to be as grounded and simple as possible in a swirling fast-paced often wasteful world. Because when you slow down enough to enjoy the little things, you want to savor and conserve and protect them. So, we are excited to see ourselves and our home on TV and hope that you join us in watching on Wednesday, April 17th. Be sure to check here for your local listings on when and where it will air. We are also super happy to be on the Green Show because of and alongside our awesome friend Tara Wagner of Sustainable Baby Steps and The Organic Sister, so be sure to watch her clip that follows ours on the small steps to take to go green. We are so very stoked to be able to connect with all of YOU that join us here on the Blog and online at our website and Facebook and Twitter after the show. Stick around and follow our journey and we will continue to share with you ways to "go green" with your family and how to do so on a budget. We haven't always done all of this, it was one step at a time, over many years, and a few kids. And, we don't have a lot of money, we actually save a lot by making choices to live more simply. So come on board and join the ride, take a single step and create big change. 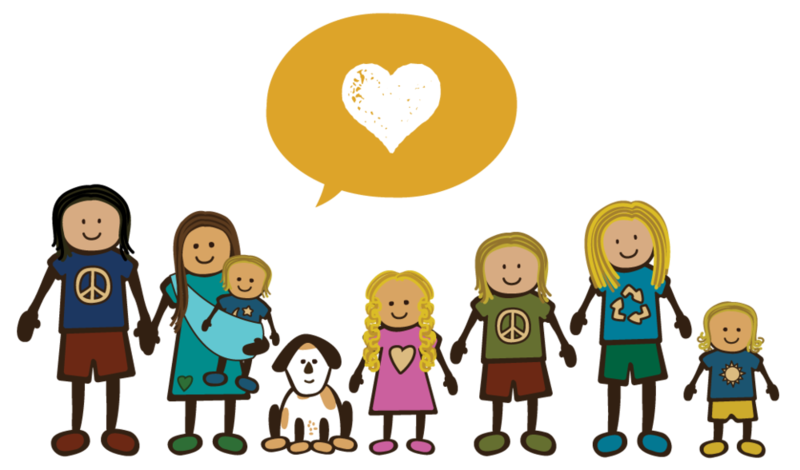 All of us together taking simple steps could just lead to big, big change! It already is. Small Business Sponsorship - 50% off!